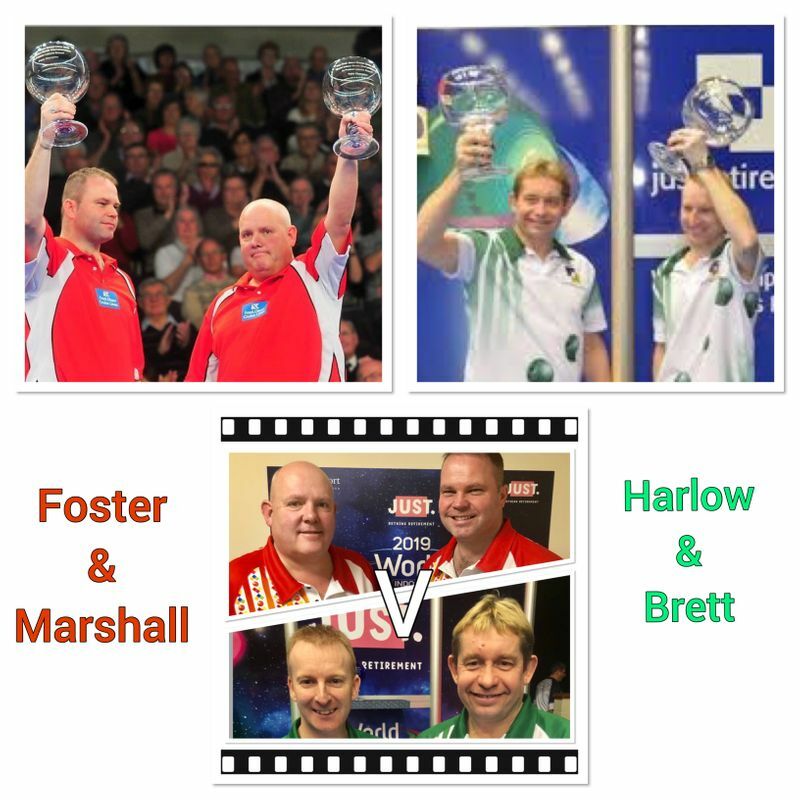 The first of the Just World Indoor Bowls finals comes under the hammer tomorrow afternoon (Monday 21st January at 1pm ) and will be a thrilling survival of the fittest between arguably four of the best players on the WBT circuit. In the RED corner Scotland’s Paul Foster MBE and Alex Marshall MBE have taken the silverware on three successive occasions. Paul also won the title with Hugh Duff in 2002 while Alex’s first success came at Preston Guild Hall in 1995 with Richard Corsie, retaining the title in 2000 at Potters with David Gourlay MBE. In the GREEN corner Greg Harlow and Nicky Brett are also a solid partnership, teaming up from their days as players at the City of Ely club in Cambridge. They won the title in 2014.